Here it is: our new album "Danger Moved West". Official release date: 24 May 2013. The album is out on Sonic Rendezvous and holds 16 brand new tracks. Available on CD as well as a limited 180 gram vinyl LP collectors editition. And even more limited: we pressed a few solid red vinyl records. 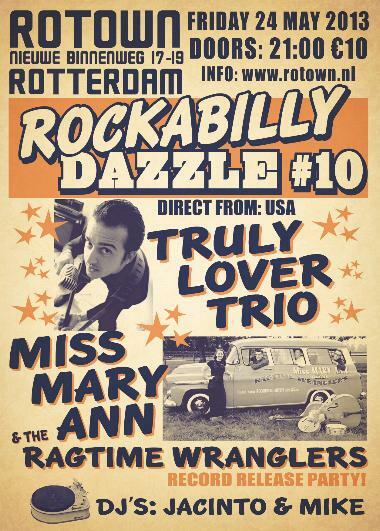 Rockabilly Dazzle #10 at "Rotown" in Rotterdam Netherlands. 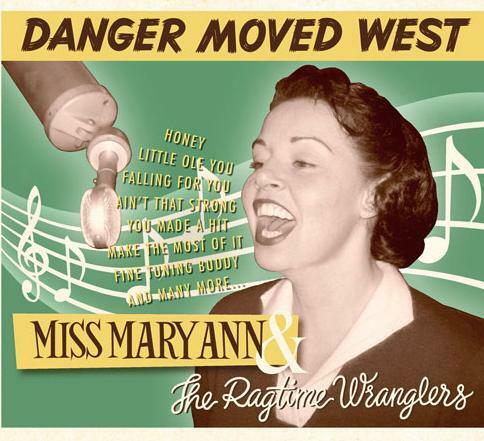 Miss Mary Ann & the Ragtime Wranglers will present their new album. Special guest: New Ranch Girl miss Raina Thompson will sing harmony on a few songs that night. Plus more treat for your ears: The Truly Lover Trio all the way from California USA; also: DJ Jacinto and DJ Mike will be spinning vintage vinyl. Click the flyer for tickets.